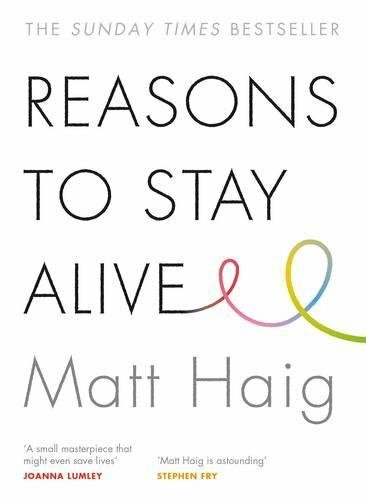 THE NUMBER ONE SUNDAY TIMES BESTSELLERWINNER OF THE BOOKS ARE MY BAG READERS AWARD FOR NON-FICTIONWHAT DOES IT MEAN TO FEEL TRULY ALIVE? 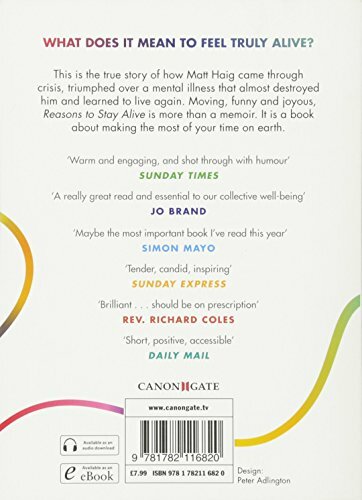 Aged 24, Matt Haig's world caved in. He could see no way to go on living. 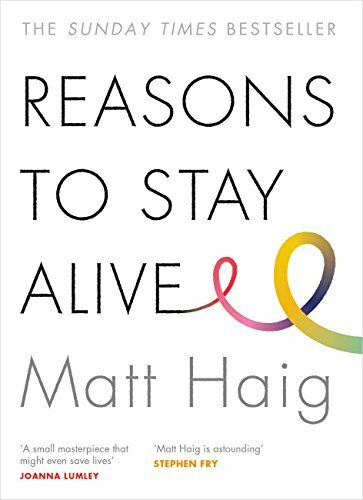 This is the true story of how he came through crisis, triumphed over an illness that almost destroyed him and learned to live again.A moving, funny and joyous exploration of how to live better, love better and feel more alive, Reasons to Stay Alive is more than a memoir., It is a book about making the most of your time on earth. "I wrote this book because the oldest cliches remain the truest. Time heals. The bottom of the valley never provides the clearest view., The tunnel does have light at the end of it, even if we haven't been able to see it . . ., Words, just sometimes, really can set you free."